Directors Loved Across Genres - Bold Outline : India's leading Online Lifestyle, Fashion & Travel Magazine. Fifty years ago, this story would have been unimaginable. Stars took the limelight, and directors were happy behind the camera, basking in the art of cinema. But times have changed and the recognition that a director gets today is multi-fold. Directors are now the face of many a movie. The remuneration for a director is the same as its star, if not more, to make a movie. But above these directors are some super filmmakers who seem to have cut across genres and fans and seem to be universally loved. 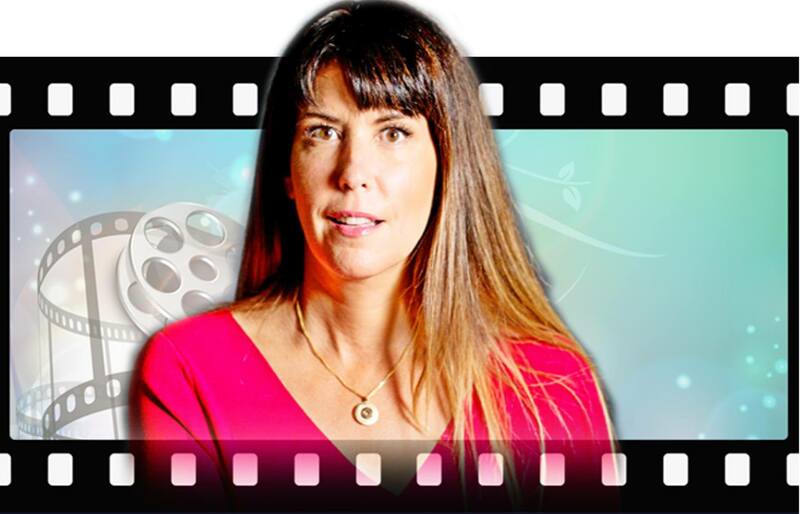 Patty Jenkins is a writer, director best known for directing Wonder Woman, the Warner Bros. /DC Comics blockbuster of 2017, and her debut feature, the Academy Award-winning, Monster. Patty also works in television where she is best known for the pilot and finale episode of AMC’s hit show The Killing. Upon changeover from painting to filmmaking, she spent eight years as an assistant camera person and focus puller on advertisements and music videos. After attending the AFI in Los Angeles, she wrote and directed Monster. Roger Ebert named Monster as the first best film of 2004 and third best film of the decade. AFI named it on the Ten Best Films of the Year. Patty also hoarded a number of awards and nominations, including winning Best First Feature at the 2004 Independent Spirit Awards. She won the DGA award for best directing for The Killing pilot, as well as being nominated for an Emmy. She also received an Emmy nomination for her work on the final segment of FIVE – a series of short films about breast cancer. In 2017, Jenkins broke the record for biggest grossing live-action film directed by a woman, Domestic and worldwide, with Wonder Woman. The film also received critical acclaim, broke several records and went on to become the highest earning film of the summer of 2017. An ace filmmaker noted for his popular films in both Tamil and Hindi cinema, Mani Ratnam, initially Gopala Ratnam Subramaniam, hails from Tamil Nadu, India. Over the past three decades, Mani Ratnam has delivered several hits in Tamil, Hindi and Telugu like Mouna Ragam (1986), Nayakan (1987), Agni Natchathiram (1988), Thalapathi (1991), Roja (1992), Dil Se (1998), Yuva (2004) Guru (2007) and O Kadhal Kanmani (2015), Kaatru Veliyadai (2017). He received the prestigious Padma Shri award, one of India’s highest civilian honours, in 2002. And also several prestigious laurels like the Filmfare. Mani Ratnam’s expected untitled project will star Jyothika, Vijay Sethupathi and others in vital roles. Best known for his narration and storytelling celebrated writer-director Christopher Nolan was born in London. Over the string of fifteen years of filmmaking, Nolan has gone from low-forecast independent films to working on some of the biggest hits ever made. One of the best-rated and highest-earning movies of 2012, The Dark Knight Rises (2012) was a perfect end to the Nolan’s Batman trilogy. Due to his success recreating the Batman character, Warner Bros. enrolled Nolan to produce their redecorate Superman movie Man of Steel, which unlatched in the summer of 2013. Nolan administered, wrote, and produced the science fiction epic Interstellar, starring Matthew McConaughey, Anne Hathaway and Jessica Chastain. Paramount Pictures and Warner Bros. released the film on November 5, 2014, to positive appraisals and strong high-earning results, earning over $670 million dollars worldwide. Sanjay Leela Bhansali is among the most recognised filmmakers of the Bollywood and was born in Mumbai. Having worked with the biggest stars of Indian film industry, Bhansali is the most sought-after director of the industry. He started his profession as an assistant director to Vidhu Vinod Chopra, another acclaimed director. If one has to name his genre, it would definitely be mega-musicals or mega-costumes. From Devdas to Bajirao Mastani, Hum Dil De Chuke Sanam to Saawariya, Ramleela to Padmavaat, love of cinema and music, extravagant costumes proclaims through every movie he writes or directs. His 1999 Romantic-Drama, Hum Dil De Chuke Sanam, starring heartthrob duo Salman-Aishwarya became one of the most critically cherished movies of the genre. Amitabh Bachchan and Rani Mukherjee, starrer Black was equally appreciated by the critics. But he made his presence felt with 2002 adaptation of the Hindi literary masterpiece, Devdas, for a silver-screen experience. He received a nomination for Best Foreign Film at BAFTA(British Academy Film Awards) for the film. Last year’s Padmavaat sealed Sanjay Leela Bhansali’s tag as Bollywood’s N1 director. One of the most prominent personalities in the history of cinema, Steven Spielberg is arguably Hollywood’s best-known director. He has an extraordinary number of commercially successful and critically acclaimed credits to his name, either as a director, producer and a writer since launching the summer blockbuster with Jaws (1975), and he has done more to define popular film-making since the mid-1970s than anyone else. Steven Allan Spielberg was born in 1946 in Cincinnati. He gained infamy as an unaccredited assistant editor on the classic western Wagon Train (1957). Later, his early directing efforts were Battle Squad (1961), which combined World War II footage. He also directed Escape to Nowhere (1961), which featured children as World War II soldiers, including his sister Anne Spielberg, and The Last Gun (1959). All of these were short films. The next couple of years, Spielberg directed a couple of movies, However, in 1968, he directed Amblin’ (1968), which featured the desert prominently, and not the first of his movies in which the desert would feature so prominently. Amblin’ also became the name of his production company. Spielberg had a unique and classic early directing project, Duel (1971), with Dennis Weaver. Spielberg’s first major directorial effort was The Sugarland Express (1974), with Goldie Hawn, a film that marked him as a rising star. Spielberg has a great interest in World War II. Tom Hanks and he collaborated on Shooting War (2000), a broadcast about World War II combat photographers, and he produced a presentation about the Holocaust called Eyes of the Holocaust (2000). With all of this to Spielberg’s credit, it’s no wonder that he’s looked at as one of the greatest ever figures in entertainment. Mira Nair has not just found fame for her directorial ventures in India but has been a considerably popular and critically known movie maker in the west as well. As a person, she is known for bringing Indian female attires into the global limelight while as a director, she has experimented with various fashion trends, including the ones in the 18th century while working for her costume period movie. Awarded with Padma Bhushan, the director reflects an eye for fashion and has a refined sense of style. Setting remarkable trends, the director has involved dressing and styling into her impeccable storylines. It all began when she worked as a film artist at a very young age and shot television documentaries. Inspired by lives and times in Mumbai, she directed her first movie, Salaam Bombay! in 1998, nominated with an Academy Award for Best Foreign Film. It wasn’t until the release of the movie Monsoon Wedding in 2001 that Mira Nair received amazing success. Despite her debut film being a positively reviewed movie, it was Monsoon Wedding that gave her fame among masses. The film, which depicted chaos during a Punjabi wedding not just had a praising storyline and fine direction, but also created and brought back wedding fashion trends. The Namesake, on the other hand was similar to of Indian dressing style which was popular in first generation NRIs. The movie showed various urban Indian dresses including simple salwar kameez and plain and light-toned saris.